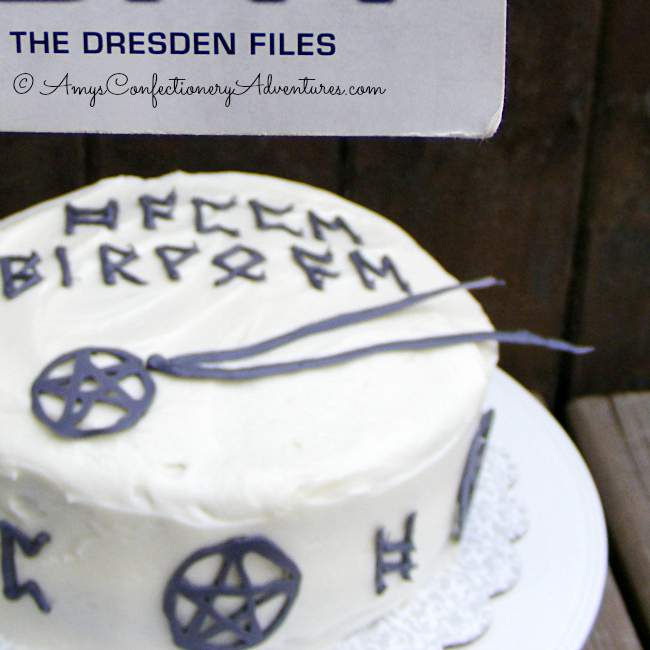 So when his birthday rolled around in July, he asked me to make him a Dresden Cake featuring the pentacle amulet the main character (Chicago Wizard Harry Dresden) wears. The pentacle represents the forces of nature, air, earth, water, fire, and spirit. He uses it for protection and power. 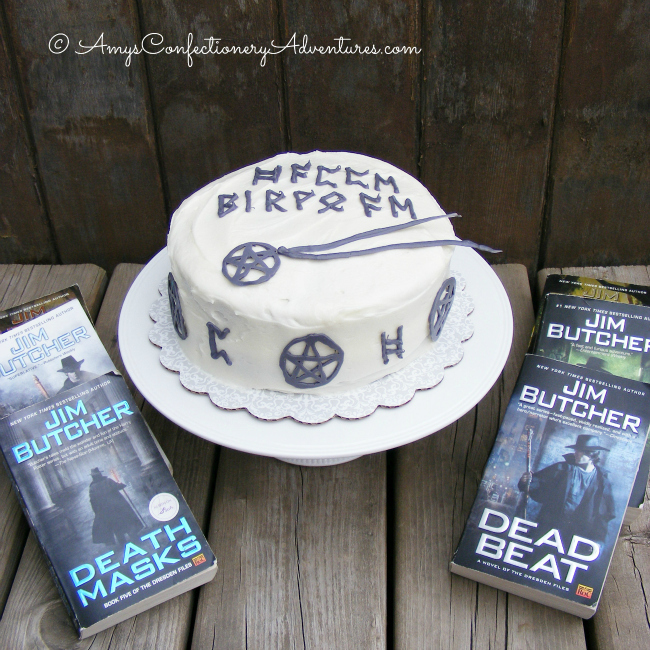 The cake itself is a Red Velvet Cake with Cream Cheese Frosting. I’ll be honest, at first I was pretty unimpressed with the cake. I baked it into two (not very thick) layers and one of them cracked right in half as I moved it from the cooling rack to the decorating board. And the crumbs I tasted weren’t all that great. That is until they were slathered in cream cheese frosting! We can also chalk it up to the fact that I’ve really never had red velvet cake before, so I didn’t really know how it should taste (it tasted a lot like red food dye to me). But when I received a phone call from 4 college guys less than 30 minutes after the cake was delivered to tell me how great it was, I knew it was a winner!